Views from the loch. : A shameful episode! 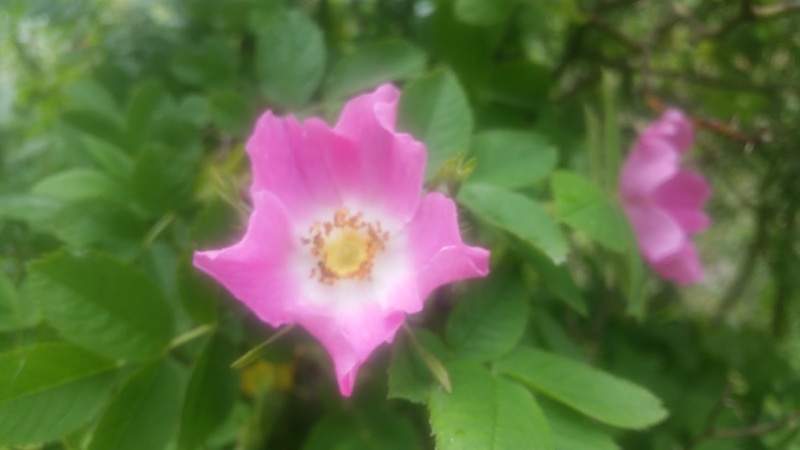 Photo 01 - The petals of the Dog Rose are delicious with vanilla ice cream! Over the years we have had a few loch keepers, some who had to give up due to other commitments, some simply moving out of the area and others who because of ill health could not continue in the job. In all cases the split has been amicable with the club making sure that all monies due to the retiring keeper were paid, club property returned and the integrity of the club was maintained. This however is not the case with the current divorce which is proceeding rather bizarrely entirely due to the exiting loch keeper! In order to settle correctly with Mr Xxxxx we need to have his permit book which belongs to the club so we can calculate how much if anything we owe him or vice versa how much he owes us! Mr Xxxxx however refuses to hand over this piece of club property in spite of emails asking for this and a recorded delivery letter which was delivered by Royal Mail! Four two way radios donated to the club by a member who we are trying to contact. The club pay in book for paying in monies due to the club detailing individual payments received. The membership database containing contact details for our current membership. The clubs high power spotlight used for night time surveillance. The clubs Samsung Galaxy Ace phone donated to the club by me. Now it’s not a huge list but the lack of a membership database means we do not have contact details for our newer members. Why is he holding on to these items and not getting in touch with us regarding their return? Most people behaving in an adult fashion would want to tie up these loose ends in a professional manner, but for some reason known only to him he does not! Normally if a person has a grievance, he raises that grievance so that together we can work through it to a satisfactory conclusion. We have no record of a grievance being lodged! Behaving in the manner of a child and taking umbrage solves nothing! When he made his resignation “speech” in the club boathouse he uttered threats towards club officials witnessed by another member. He also went on to say that he had a long memory and would see the current committee out! He also said that large numbers of members were unhappy with the way the club was being run. He accused me and other club officials of dishonesty and defrauding the club of large amounts of money. He accused the committee of running the club for a select group of members. Now I would like to answer these allegations in open forum as the current club committee has nothing to hide! Elliot Fraser our treasurer phoned today and stated that the club has in balance the most money in its history and that our accounts will be made available to any member at the club AGM for scrutiny as they are every year! Contrary to his scurrilous allegation it should be noted that 95% of expenses claimable by club officials are not in fact claimed! Examples are having to drive up from Gala to sort out some Muppets on a farmers land. Driving down from Motherwell to clarify a financial query. Donating their own consumables in order to carry out a project. I could mention dozens more and believe me this unfounded allegation has caused some ructions! Mr Xxxxx has made no friends here! Regarding members being unhappy with the running of the club, of all the members I have engaged with over the last four weeks none has expressed dissatisfaction! More to the point only one request from a club member has been turned down in the last 5 years and I will come to that later. We have acted quickly and positively to all points raised by members! Mr Xxxxx claims to have done more for the club than any other member, the truth however is that he would be lucky if he made it into the top twenty! When I think of some of the past and present members and their unstinting contributions his statement is little more than a joke! In reply to his allegation that the club is run for a select few we dismiss this as utter rubbish! Every member of the club is treated in the same manner with respect and empathy! No one in the club expects or receives favour beyond that of any other member. You might have been fooled into thinking that a few names appear regularly on the news page and they were being treated as a superior class. Not so, the same names keep appearing as it is these people that are always on hand to help us out of a tight spot and I make no apology for this and will continue to highlight all those who give up their time in such a selfless manner! Mr Xxxxx had a request to the club dismissed and that request was for the club to purchase a further two petrol outboard engines. He said that we needed two other engines to step in when the originals failed. We felt that the outlay for two other engines which would be in the range of £1,200 - £2,400 new or used could not under any circumstances be justified. We are charged with using club money wisely and just because we have some in the bank does not mean we should squander it! The usage of the club engines is low and we decided the better more cost effective option was to place under repair our existing engines either in house or farmed out to marine engineering establishments. This did not go down well and it could be considered as the start of the slide! Mr Xxxxxx is relatively new to the area and has obviously not grasped how the club operates! Two further incidents took place the first being his demolition of our ability to pull boats into the boat house by means of two very long wooden beams acting as runners. These wooden beams are 30ft long 4in thick and 1 foot in width! He said that I had said on a previous occasion that he could take any wood he wanted. However any right thinking person would have looked at these beams which we have had for around thirty years and thought perhaps I had better ask if it’s ok to cut these beams but he did not, he simply cut one in half! It might be postulated that his inexperience in club operations was to blame but any right thinking individual would employ the old adage “if in doubt ask”! Of course we now have no means of pulling boats into the boat house as only one beam is long enough! The cost of replacing one of these beams is over £400 and it can only be supplied when stocks are available which is not very often due to the dimensions! Delivery of such an item would be extremely expensive as it would have to come via articulated transport! The other incident involved 2 bags of cement. He apparently needed 2 bags of cement so just helped himself without telling anyone or leaving a note and as such they were presumed stolen! Had he phoned and asked we would of course have given him the go ahead as we would do for any member! I’m sorry that club members who have boathouse keys were initially under suspicion but it was entirely because of his ill thought out actions that the situation arose! In other areas there was a heap of stinking rubbish piled up at the boathouse which had built up over the preceding months and the white boats were almost green in colour with algae! When a bag of rubbish is filled it can easily be removed we cannot understand why the rubbish was allowed to build up to ten bags in total! Both of these jobs are part of the loch keepers remit to be carried out by himself (removal of rubbish) and with others (removal of algae). That is the situation preceding Mr Xxxxx’s resignation and I would say to every member if you see him ask why he is holding on to your equipment, for as a member that is your equipment it does not belong to Mr Xxxxx! I suppose in correct parlance it is theft by keeping but we won’t go into that at this stage. We do not under any circumstances tolerate threatening violent behaviour from members or visitors, consequently Mr Xxxxx has been stripped of his membership and he no longer has any association with the club! He has been barred from fishing on the lochs for an as yet undetermined length of time! At this time our investigations are ongoing and will take some considerable time! I regret that this has become necessary but I will not stand idly by as good honest people who have given so much to the club and the wider area are accused and belittled by a man clearly unfit to tie their shoelaces!